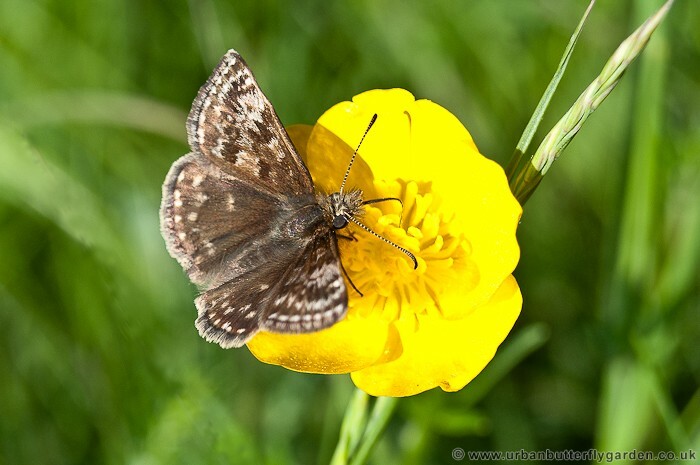 Small and fast flying, the Dingy Skipper Butterfly with it’s brown and cream mottled markings, is well camouflaged into the grassy surroundings. 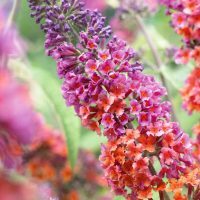 It can often take flight and blend in so well, at times can be difficult to spot. 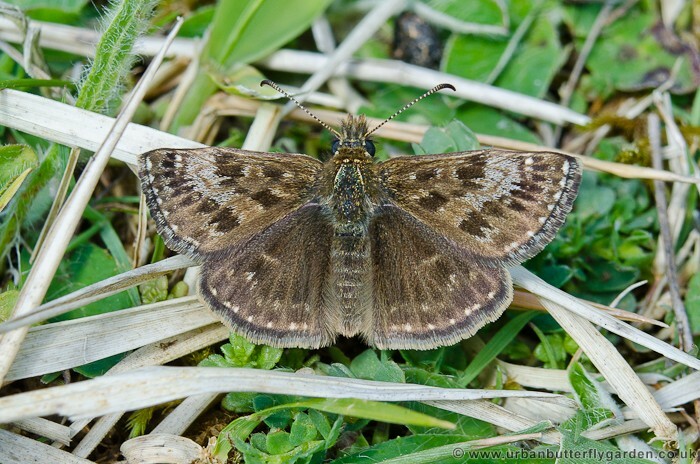 Widely spread across the southern half of Britain, Dingy Skippers are most often found on open chalk or limestone grassland, and are on the wing from the last week of April into June. Where: A Native Butterfly widely spread across England and Wales in small pockets. 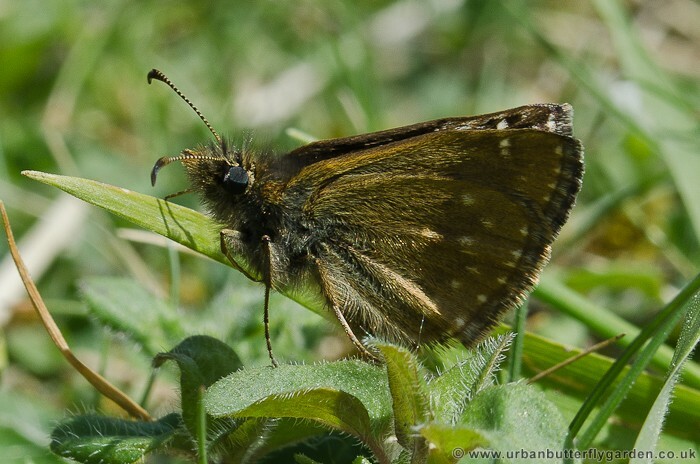 Habitat: A meadow butterfly that also be found on old waste ground, Disused quarries, disused railway sidings and open grassy woodland rides. Adult nectar plant: Buttercups, Bird’s foot-trefoil, Dandelions, Speedwell, Plantains, Hawkweeds. Photographed: Top and Left, Ketton Quarry, Rutland 25th May 13. Right, Cribbs Meadow, Leicestershire, 25th May 12. The Dingy Skipper often shares the same habitat and a similar flight period to the Grizzled skipper (Pyrgus malvae), although nether butterfly shares the same larval food plants. 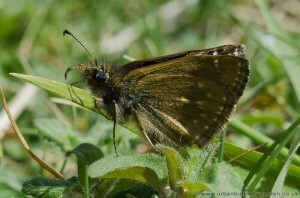 Seen from a distance both butterflies may be mistaken for day flying moths such as Mother Shipton, (Callistege mi), which also shares similar flight times and habitat. During sunny weather, Dingy Skipper Butterflies enjoy basking in warm sunshine, perching up on the old flower heads of Knapweed, or on tall dry grasses, if it is overcast or a cool breeze, they may choose a more sheltered position on the ground.